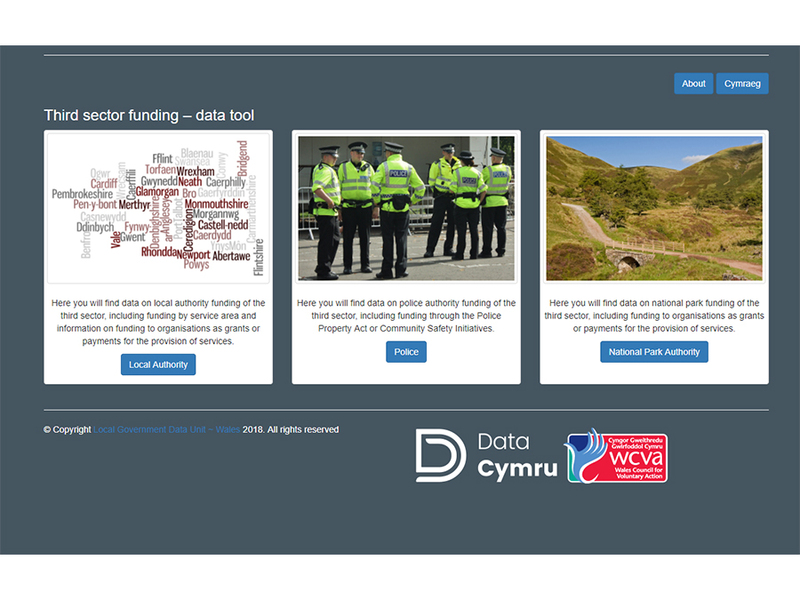 The work looks at the total funding to third sector organisations by way of grants or payments for services by all branches of Welsh local government, comprising local authorities, fire and police authorities and the national parks. The latest data report for 2013-14 is now available. 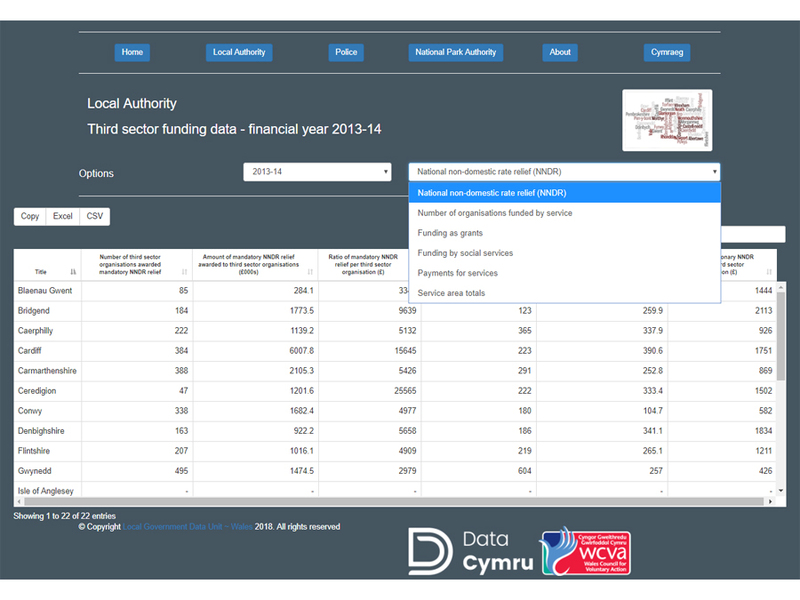 The analysis presented shows funding of the third sector for the 2013-14 financial year including information on funding as grants and payments for services. 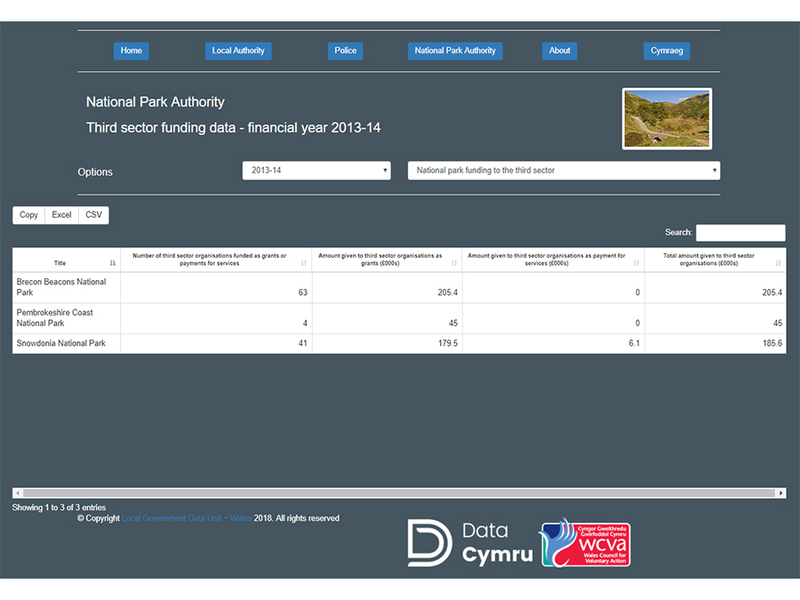 You can access the data using our new data tool, please take a look.